Located in Central Europe between Germany, Slovakia, Austria and, Poland, the Czech Republic was formerly known as both Bohemia and Czechoslovakia. It is a member of the European Union and ranked as the third most peaceful country in Europe, which is an excellent designation for any potential vacation destination. The climate here is temperate, with fairly hot summers and snowy winters. Prague is the capital of the Czech Republic, and a very popular destination for international tourism as the 6th most visited city in Europe. This is in part due to the many historical and cultural attractions of this ancient city, such as Prague Castle, the Saint Charles Bridge, St. Vitus Cathedral and the National Museum. Visitors to Prague also enjoy the Prague Zoo and the Astronomical Clock, as well as the exciting nightlife, the fantastic shopping, and the nearby Aquapalace Praha, the largest water park anywhere in Central Europe. Another attraction that draws many people to visit the Czech Republic is winter sports. The Krkonose Mountains are extraordinarily beautiful and in cold weather are perfect for downhill and cross-country skiing, as well as other outdoor winter adventures like sledding and riding in a horse-drawn sleigh. Herlikovice and Bubakov are outstanding and very popular ski resorts in the Czech Republic. This area is also famous for its natural hot springs and the health spa resorts are extremely popular. Spa resort towns like Karlovy Vary (Carlsbad) have been historically attractive for royal and aristocratic visitors; Marianske Lazne and Frantiskovy Lazne are also popular spa resorts in the Czech Republic. The Czech Republic has more attractions to keep visitors occupied, such as their world famous puppet shows, or visits to various historic beer breweries. The Czech Beer Festival in May is a popular event, as is the Pilsner Fest in August. Castle tours are also an enjoyable activity. 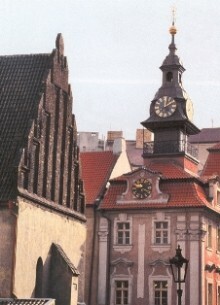 Many people enjoy taking the Castle Trail, Burgenstrasse, along a 1200 kilometer route that begins in Germany and ends in the Czech Republic and includes such magnificent medieval castles as Svihov Water Castle, Nebilovy Castle, Kozel Chateau, Horovice Chateau, Krivoklat Castle and Prague Castle.